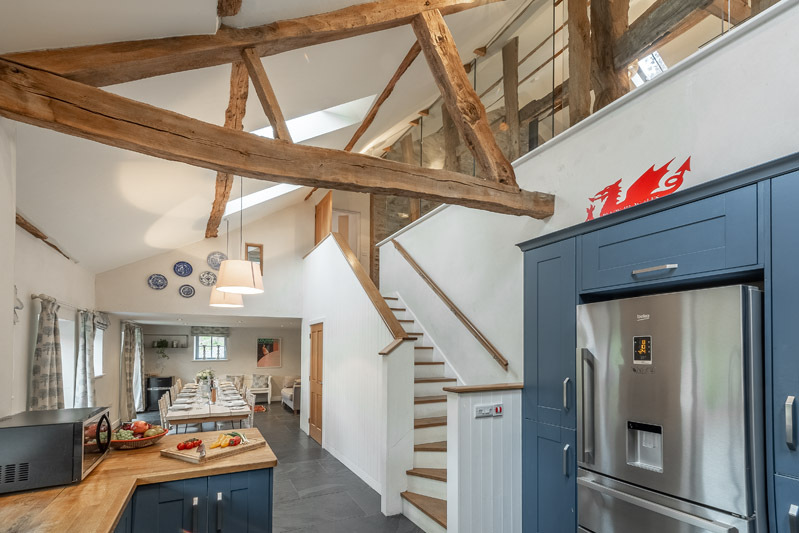 A sympathetically restored and beautifully furnished original 18th century Welsh Barn. 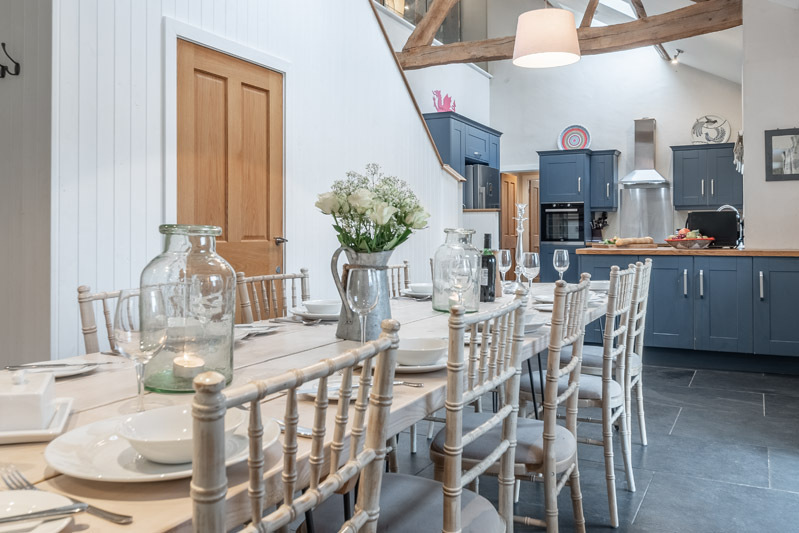 Suitable for larger parties, the beautifully converted Barn is light and airy with exceptional views down and across the valley. There is Wi-Fi throughout. 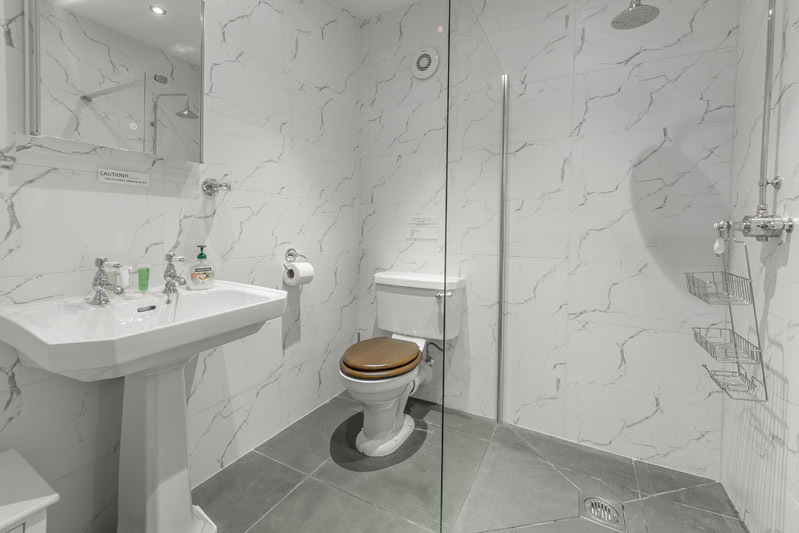 You can relax in the cinema room, dip into the hot tub or just sit back and enjoy the spacious sitting room. 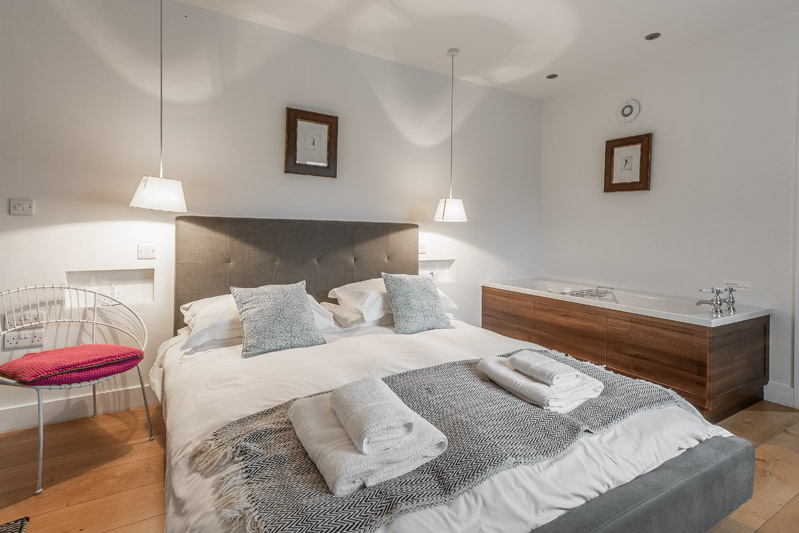 Retaining many original features, you will find each room has been finished to a high standard with sumptuous linen and towels provided. 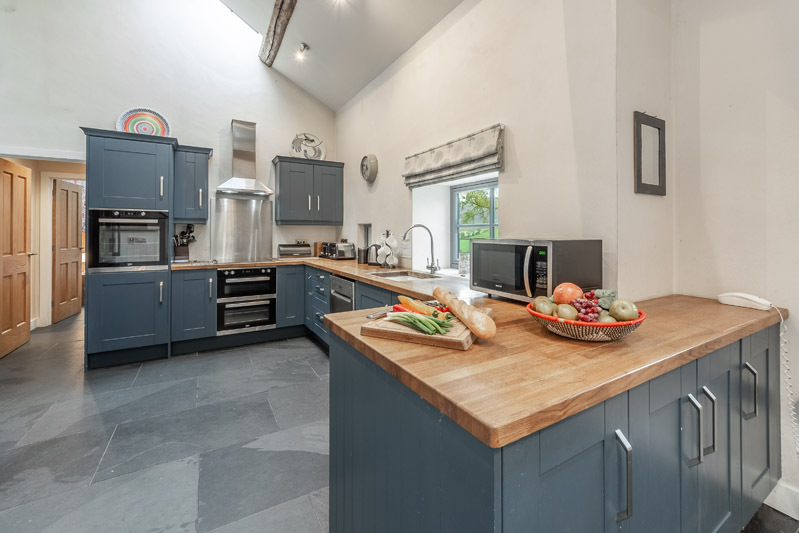 There are some beautiful local walks directly from the doorstep – up to the top of the mountain and back, over the valley to the local Pub or of course you could just stay put, stoke up the wood-burner and relax with a good book. 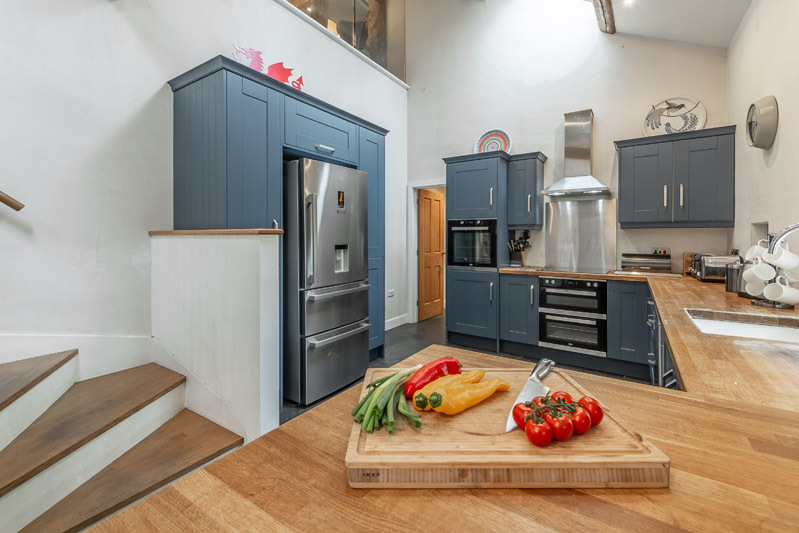 The lower level provides a large open plan kitchen/ dining area with space for up to 18 people to dine, along with a sitting area all with south-facing panoramic views over the valley below. 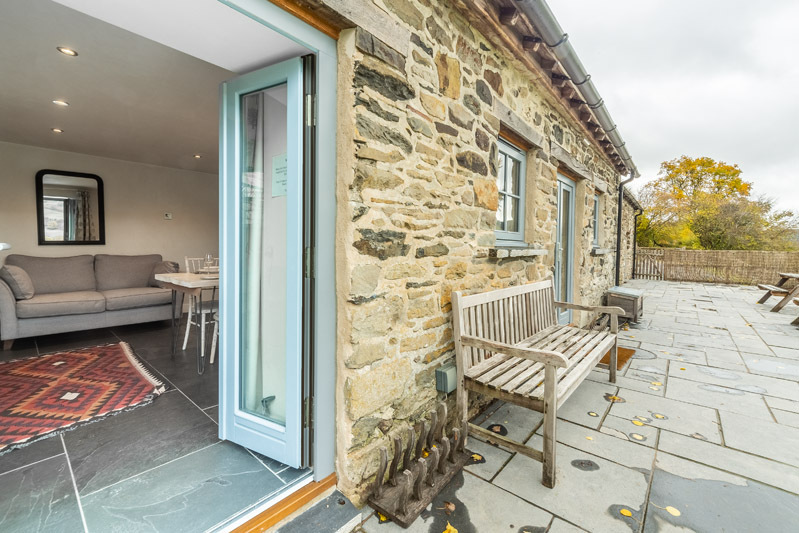 Access directly outside to a terrace with an outdoor dining area, hot tub and grassed area. Bedroom 1 is south facing with its own terrace. King size bed and antique French sink. Shares a shower room with Bedroom 2. 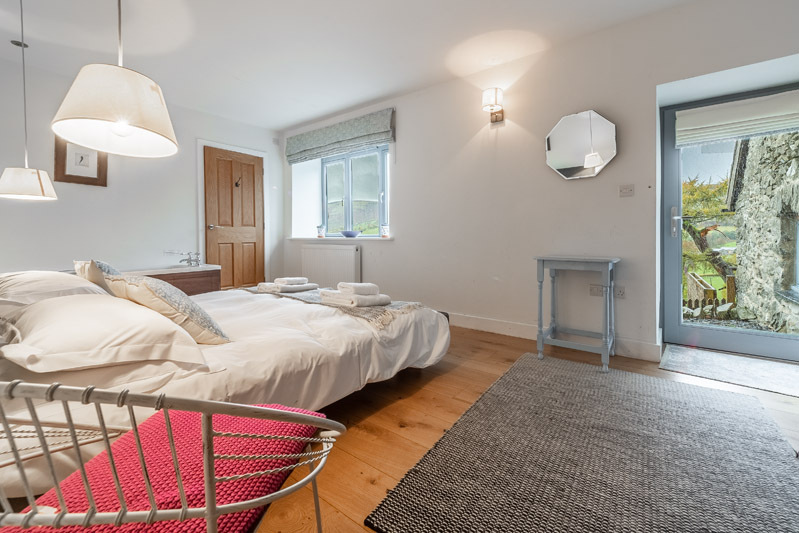 Bedroom 2 is a cosy loft-style double bedroom above the kitchen with views west up the valley towards the forest. Bedroom 3 leads off the kitchen on the lower level with en-suite shower room and twin beds. Bedroom 4 is the master bedroom on a raised ground floor with access externally as well as from the living area. 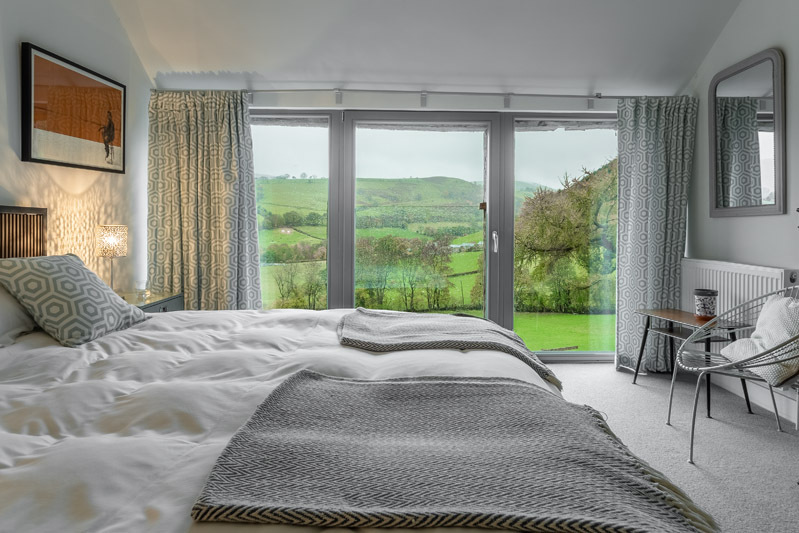 King size bed and en-suite shower room along with an in-room bath with fabulous view over the valley. Bedroom 5 is a substantial bedroom with super king bed. Velux window with a view up the mountain as well as peep hole looking over the main living space. Shares large family bathroom with bedroom 6 with walk-in shower and bath. Bedroom 6 is a studio bedroom with two double beds. Glass French windows across full length of south wall providing lovely light airy room and spectacular view. Shares family bathroom with bedroom 5. 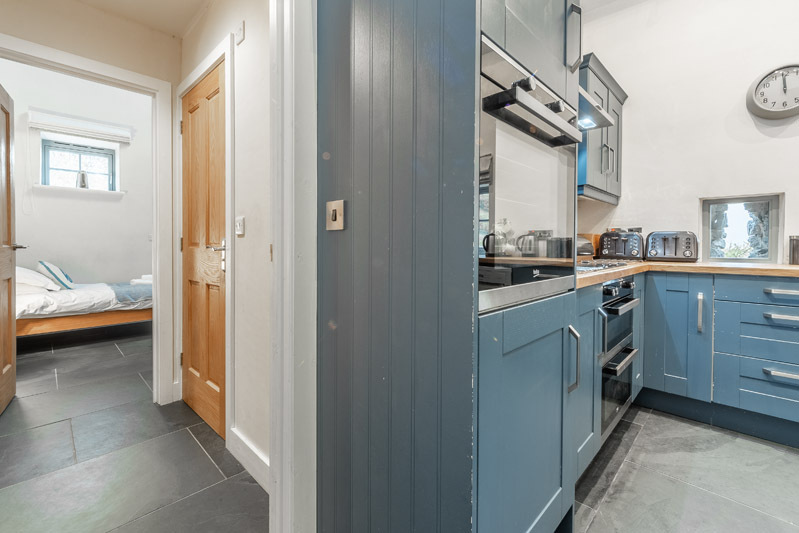 Utility room with sink, washing machine and dryer. 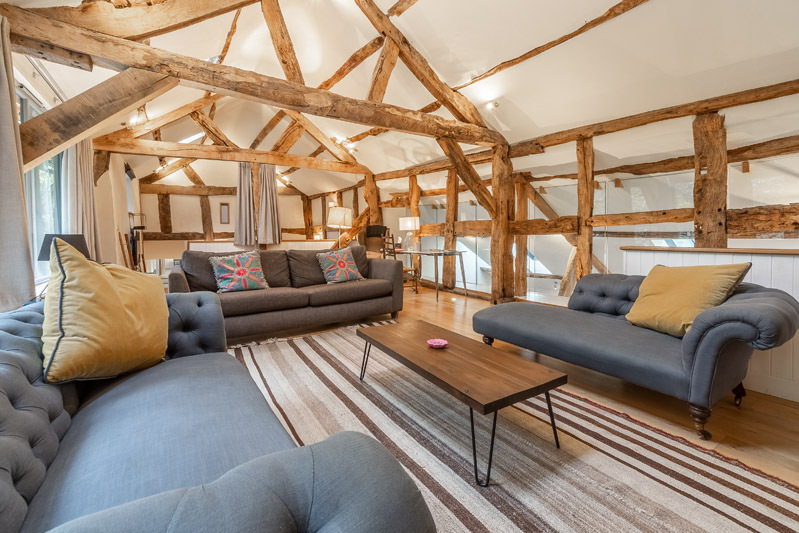 Large open plan living room with double height ceiling and original exposed beams. Separate level adjoining TV/cinema room. 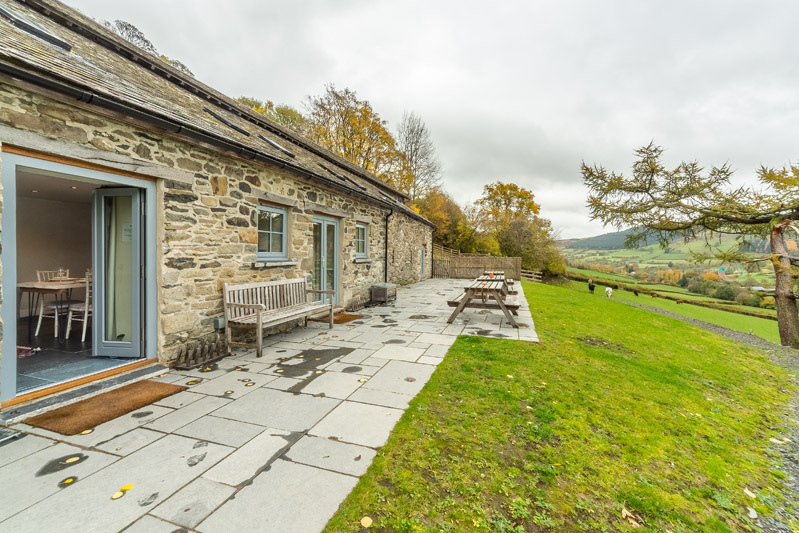 External area provides parking for up to 4/5 vehicles next to the barn along with an outside hot tub with views over the valley. Outside table tennis table and darts board. Further parking provided a moments stroll from the entrance. Please note: the track up to the Farmhouse and Barns is very steep and to take care when driving up there.